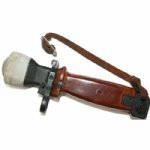 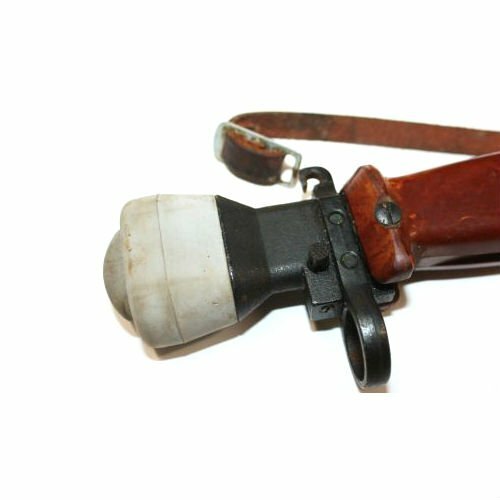 Extremely rare and effective Polish Training Bayonet. Designed to sharpen soldiers' real world fighting skills without inflicting injury. 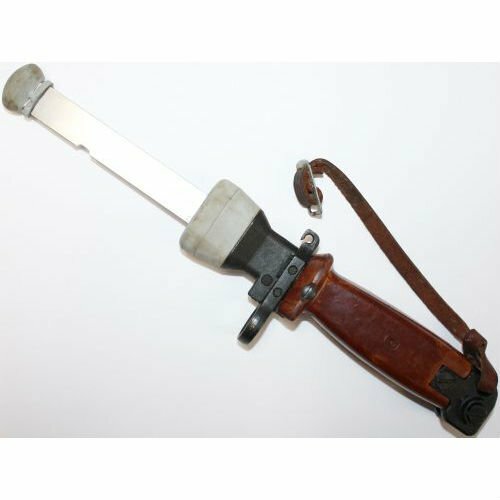 This bayonet acts like a switchblade where a push of a button releases the spring loaded rubber tipped blade. When a successful impact has been made the blade retracts back into the handle. 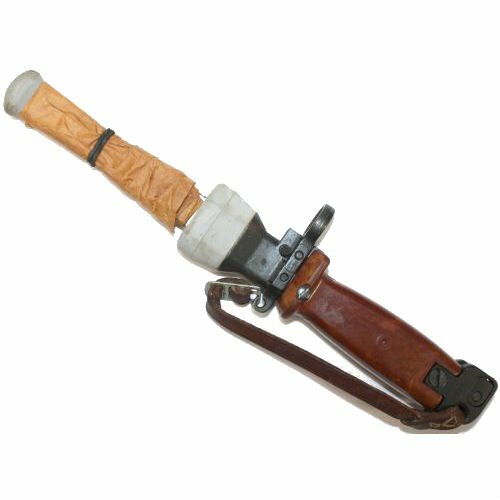 This provides the feel of real knife combat. Condition is unissued-new, may have storage marks.